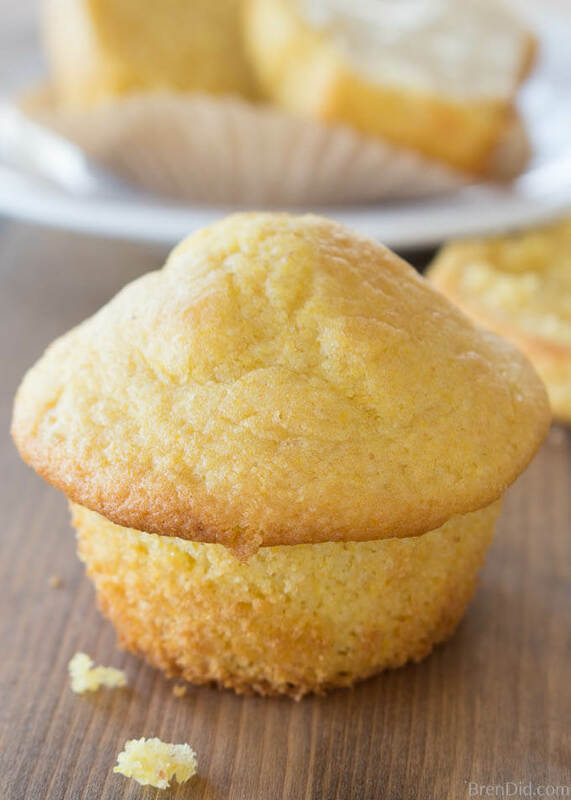 Make Jiffy cornbread mix (or gluten-free corn muffin mix) at home with this easy copycat recipe. Plus 9 variation of the classic Jiffy corn casserole recipe! It’s classic comfort food without unneeded ingredients. Are there a few recipes that ALWAYS show up on your Thanksgiving table? My family has a few traditional holiday recipes we make over and over again. Sweet corn casserole is one of those dishes. 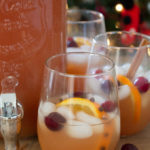 I first learned the recipe from my Aunt Linda in Grove City, Ohio more than 20 years ago. Thanks, Aunt Linda! Is it Corn Pudding, Corn Casserole, or Corn Spoon Bread? Our family has always called this side dish corn casserole, but other families call it corn pudding, corn souffle, creamed corn casserole, or corn spoon bread. I’ve heard corn casserole called “5 ingredient corn dump” because it can be made by pouring 1 can of corn, 1 can of creamed corn, 1 cup of sour cream, 1 stick of butter, and 1 box of Jiffy cornbread mix into a dish and stirring. It’s not a catchy name or super precise recipe, but easy to remember! Corn casserole is a holiday staple in the Southern and Midwestern United States, but it is less common dish in the rest of the world. I also learned how to make homemade fried onions, but that’s a whole other story! How do you make Jiffy cornbread mix? 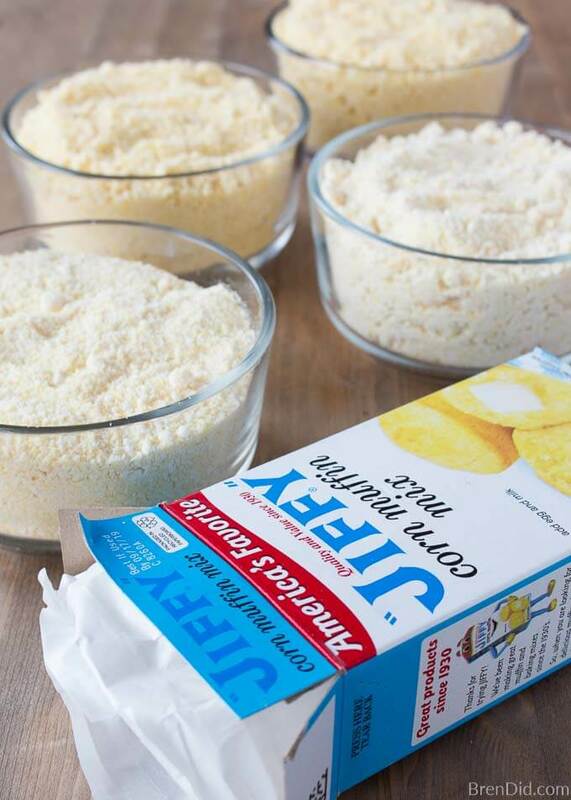 You can substitute a mixture of flour, cornmeal, sugar, baking powder, salt, and vegetable oil for a box of Jiffy corn muffin mix. Full instructions and measurements below. 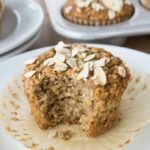 This recipe makes the equivalent of one 8.5 ounces of corn muffin or cornbread mix (equal to 1-box of Jiffy Corn Muffin Mix). Whisk together flour, corn meal, sugar, baking powder and salt. Slowly whisk in vegetable oil. Mix until dry mixture is smooth with no lumps. 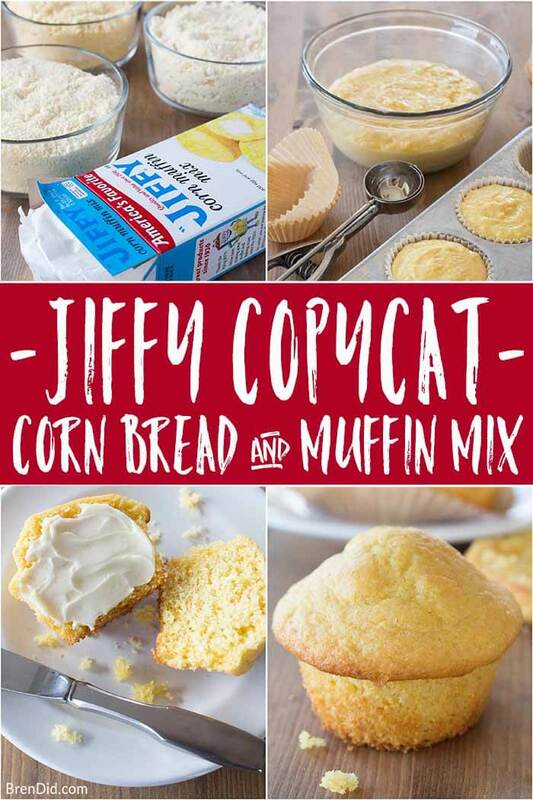 If a recipe uses a box of Jiffy Corn Muffin Mix: add the above mix to that recipe. How to make corn bread: Preheat oven to 400F. Combine above mix with 1 egg and 1/3 c. milk. Mix well. Pour batter into greased 8-inch square pan. Bake 20 – 25 minutes. 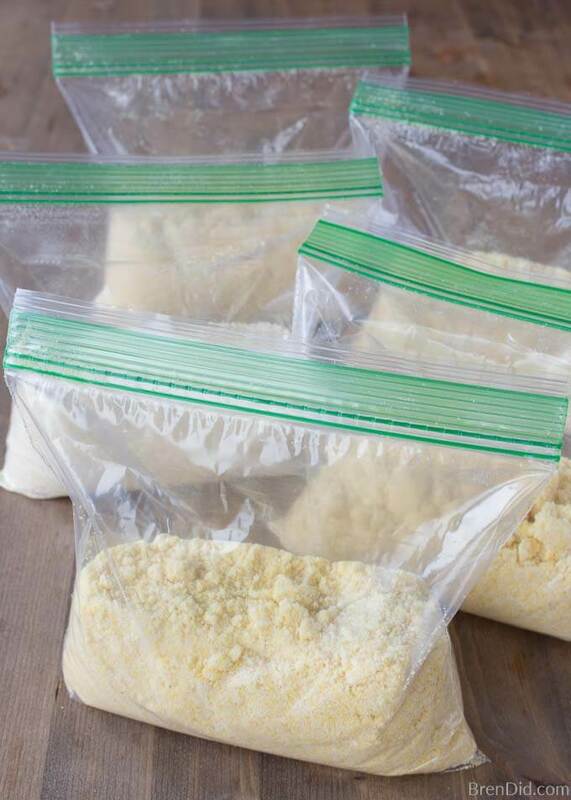 Store homemade cornbread mix in a plastic bag or lightly closed jar for several weeks at room temperature. You can also freeze the mix for up to 3 months. 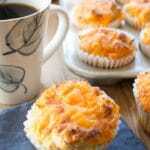 The Jiffy corn muffin copycat mix is vegetarian, it uses vegetable oil in place of lard. 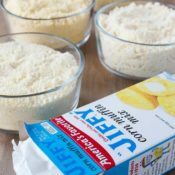 How to make Gluten free corn muffin mix: Use gluten free baking mix in place of the flour (try Bob’s Red Mill’s gluten-free 1-to1 baking flour). 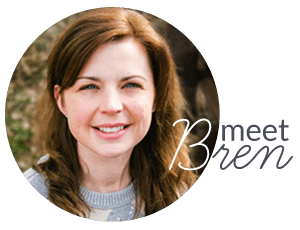 *Cornmeal is naturally gluten-free but it is often produced by manufacturers who also process wheat on their machinery, read the label carefully. 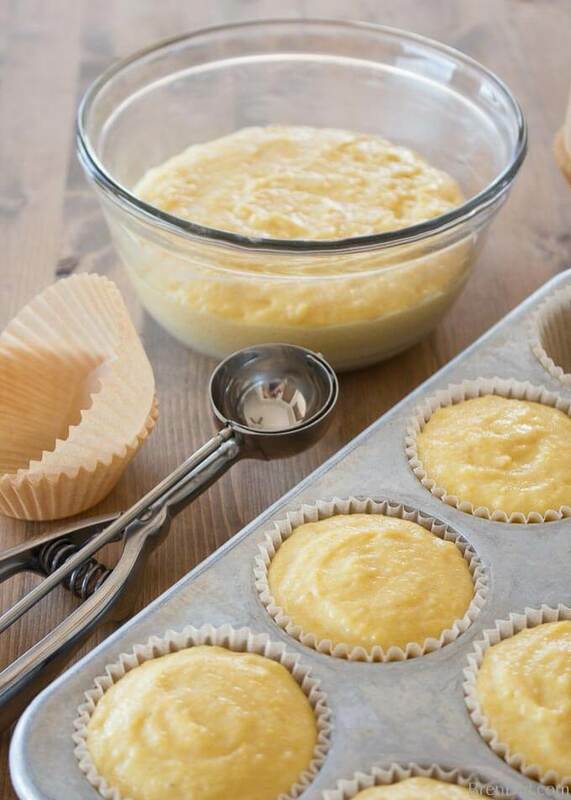 I stopped purchasing pre-made corn muffin mix once I learned to make my own copycat. 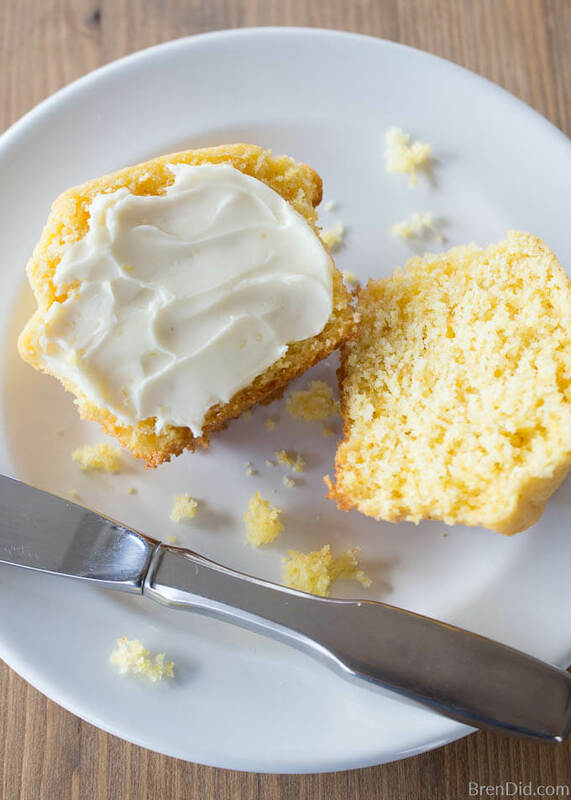 The homemade cornbread mix is easy to whip up and uses just 6 basic ingredients: flour, cornmeal, sugar, baking powder, salt, and vegetable oil. 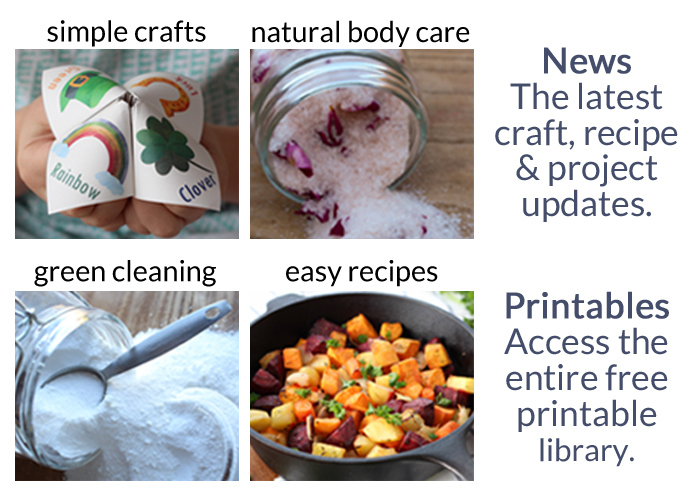 The prepackages mix contains more than 18 ingredients: wheat flour, degerminated yellow corn meal, sugar, animal shortening (lard, hydrogenated lard, tocopherols preservative, bht preservative, citric acid preservative), contains less than 2% of each of the following: baking soda, sodium acid pyrophosphate, monocalcium phosphate, salt, wheat starch, niacin, reduced iron, tricalcium phosphate, thiamine mononitrate, riboflavin, folic acid, silicon dioxide. I’ll stick with the homemade mix! There are two common recipes for corn casserole in the United States. The most basic recipe is also called the 5-ingredient pour and stir version: 1 can of corn, 1 can of creamed corn, 1 cup of sour cream, 1 stick of butter, and 1 box of Jiffy Cornbread mix. 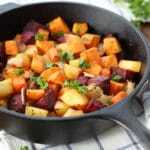 Preheat the oven to 375° and lightly grease a 1 ½ – 2 quart casserole dish with butter. Pour butter, both kinds of corn, and sour cream into a large bowl. Stir until well combined. Add muffin mix. Blend thoroughly. Pour the mixture evenly into the casserole dish. Bake 35 to 40 minutes, or until the casserole is golden brown and set. The casserole with be a spoon-able corn pudding, not firm enough to slice like cornbread. The second most common corn casserole recipe adds eggs which makes a the dish a bit lighter: 1 can of corn, 1 can of creamed corn, 1 cup of sour cream, 1 stick of butter, 2 eggs, and 1 box of Jiffy Cornbread mix. Pour butter, both kinds of corn, sour cream and eggs into a large bowl. Stir until well combined. There are many different variations to the basic corn casserole recipe. Some add a half teaspoon of salt, some swear the recipe need a bit of black pepper. Our family loves the 5-ingredient corn casserole, but there are many add-ins that give corn casserole a tasty twist. Cheesy Corn Casserole – Add a 1 -1 ½ cups of grated cheddar cheese (4 to 6 ounces) to the batter before baking. Green Chili Corn Casserole – Add a 4-ounce can of diced green chilies to the mix (hot or mild). 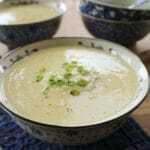 Corn Casserole with Onions – Add a small diced onion or diced green onions to the mix, about 4 ounces. Jalapeno Corn Casserole – Add 1-2 fresh jalapenos, finely chopped. Cheesy Jalapeno Corn Casserole – Add both jalapenos and cheese. 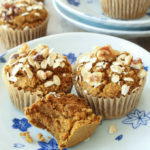 Substitute gluten free baking mix in place of the flour (try Bob’s Red Mill’s gluten-free 1-to1 baking flour) and gluten free corn meal (try Bob’s Red Mill’s gluten-free cornmeal) in the baking mix. Note: Cornmeal is naturally gluten-free but it is often produced by manufacturers who also process wheat on their machinery, read the label carefully. Substitute the copycat baking mix (which uses vegetable oil) for Jiffy Corn Muffin Mix (which uses lard). I hope this recipe makes your holiday cooking a bit easier… and, if you live outside the United States, I hope you enjoy your first corn casserole! Instead of mixing in the 2 Tb. of oil and then storing the mix, can I add the oil when adding the egg and milk, then mix all together? Yes, you can add the oil when you make the mix. Hope you enjoy! Love this substitution. Worked perfectly! I use 8 oz cream cheese in the place of the sour cream. Also some freshly ground black pepper and a couple of dashes of tobasco sauce. Not so much to have a hot flavor, just to make it different. The cream cheese makes it slightly sweeter w/out more sugar. I get this food request often for family get togethers. I have to make this only when I’m taking it somewhere. I love this stuff, but my husband doesn’t, so since I don’t need to eat a whole batch on my own I only take it to go. Mary, your versions sounds great. I know my husband would love the Tabasco!